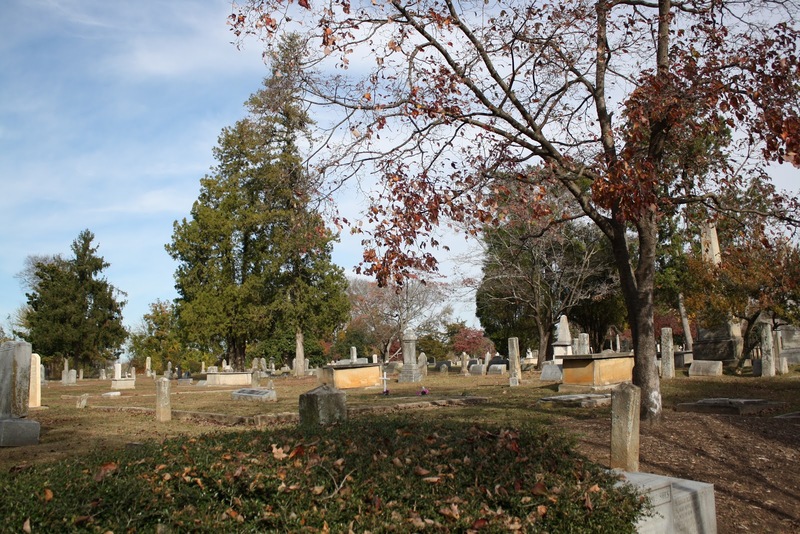 Raleigh’s City Cemetery database has once again proven that the graveyard is full of interesting stories surrounding the lives of the people buried there. In the notes section for Patrick Conway, it reads, “Native of Ireland; cooly, deliberately,& cruely murdered.” There is no information about the location of his grave or a birth date, but he died on April 21, 1809. He had only been in Raleigh for two years. Prior to moving to North Carolina he was a merchant in Richmond, Virginia. The rest of his life story is a mystery. The details of Patrick’s gruesome murder are outlined in the local newspaper. this or any other county. On Friday night, a little before 11 o’clock, MR.
stick by the violence of the blows. much, as the bulk of the cash was kept in another place. Monday in October next. The circumstances are strong against him. the stick with the stump, they very exactly fit. therefore a considerable loss to our society. John Owen was found guilty of Patrick’s murder, but the indictment was appealed in 1810 due to a discrepancy with said indictment. ﻿The court ruled in favor of John and his attorney, but he wasn’t freed. He was sent back to prison to await a new indictment. The August 28, 1811 issue of The Centinel out of Gettysburg, Pennsylvania reported that John clearly had no intention of paying for his crimes. Prison EscapeOn the 9th inst., three desperate villains made their escape out of the jail of Raleigh, (N.C.) – John Owen, confined for the murder of Patrick Conway, is about 6 feet high, 22 years of age, very slender, pale complexion, brown hair, swelled ankles and is much emaciated by sickness. Richard Kennam, imprisoned for counterfeiting is a stout man about 6 feet high, about 27 years of age and has scars on his cheek bone. Britain Lassiter is about 22 years of age, thick lips and grey eyes. These fellows are advertized in the Raleigh papers and large rewards offered for their apprehension. For Owen, 200 dollars will be given. I couldn’t find out if John was ever caught after some time searching.